Download Christmas badges vectors for free. Detailed Xmas vector illustrations with Christmas greetings. 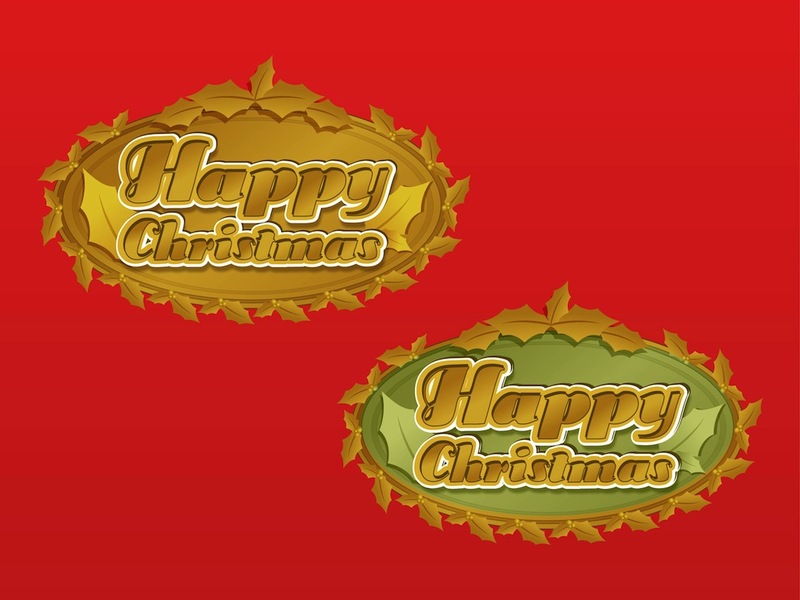 Different versions of the festive design with text reading “Happy Christmas” and golden decorations. Ellipse shaped plates with mistletoe leaves. Free vector graphics for all Christmas, holidays, season's greetings, celebrations and winter holidays projects. Tags: Badges, Ellipses, Gold, Golden, Mistletoe, Shiny, Stickers, Text, Xmas.